June 27 2012 is International Torture Awareness Day. 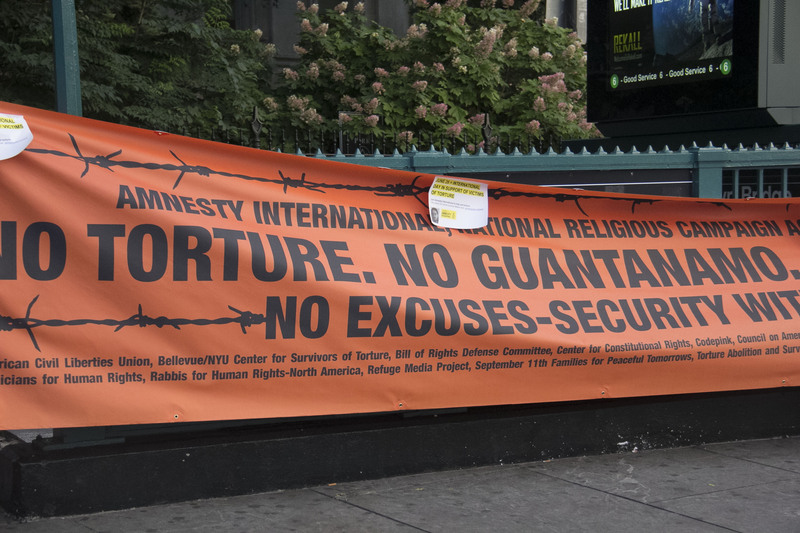 People all over the world held events to protest the use of torture by governments. In the United States many of the events focused on the abuses at the prison at Guantanamo Bay Cuba. In New York City Amnesty International USA and other groups held a vigil at City Hall Plaza near the Brooklyn Bridge.